Are you braving the crowds tomorrow to hit the Black Friday sales? Use an app (or two) to help you make the most out of your shopping trip. 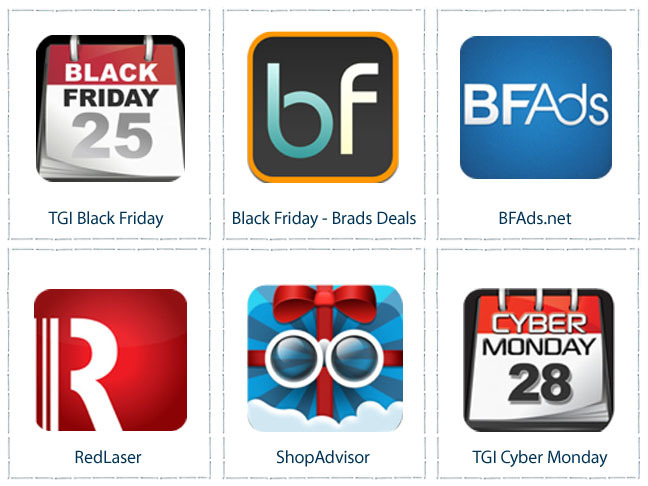 Get a jump start with several apps dedicated to gathering the Black Friday ads. While you’re shopping make sure you’re getting the best deal around by checking prices with Red Laser. If you don’t find what you’re looking for on sale then use Shop Advisor to set an alert and let it do the comparison shopping for you. Finally, there’s always Cyber Monday and an app that will gather those deals for you too.